Her heart will be filled with so much love the moment she lays eyes on this personalized kitchen apron! 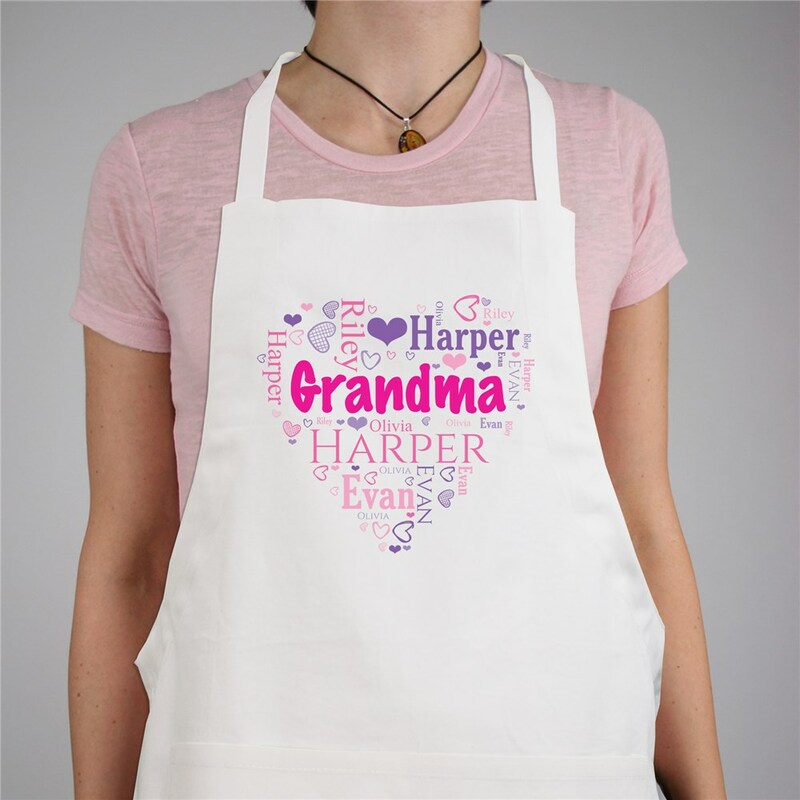 Personalized with any title and surrounded by word-art names, this personalized apron makes a great gift for Grandma's, Mom's, Aunt's or any lovely lady in your life. Great for Mother's Day Gifts, birthday for her, and more!